Some days you can follow an old car only so far waiting for it to park somewhere so you can take a photo. 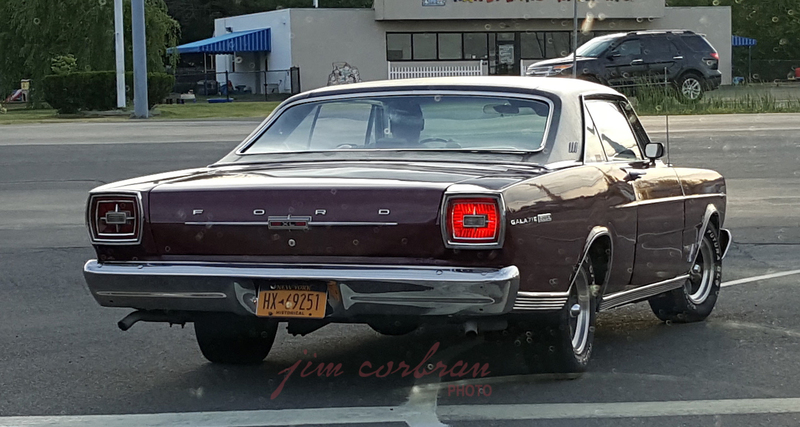 Luckily the driver of this 1966 Ford Galaxie 500/XL had to stop for a red light before turning off in the direction I wasn’t headed in, so I could snap this pic. Nice use of the turn signal! The 500XL was knocked down a peg in Ford’s 1966 pecking order with the advent of Ford’s full-size hot rod — the Galaxie 500 7-Litre, in both 2-door hardtop and convertible form, which came standard with a 345-hp, 428 cu. in. V-8. The XL had a 200-hp 289 as standard equipment. Followed this one through Pendleton a few weeks back.